WHAT: On May 21-22, local SCRABBLE enthusiasts will compete in a regional qualifying tournament for a chance to play in the 2016 North American SCRABBLE Association Championship. The North American SCRABBLE Association Championship will be held in Fort Wayne at the Grand Wayne Convention Center from August 6-10, 2016. This weekend, regional participants will play either on Saturday, May 21 or Sunday, May 22 to earn an official rating from the NASC. 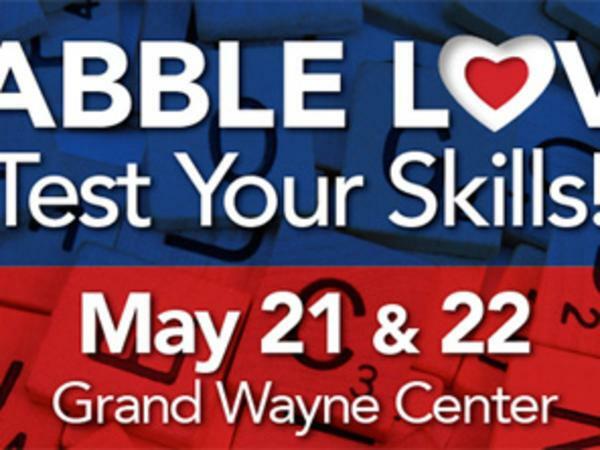 The general public is invited to participate and can still register at visitfortwayne.com/scrabble. In August, the championships will welcome more than 450 professional and amateur SCRABBLE players from across North America.